As a restorer of gilded antiques, Ruth Tappin has over 18 years of experience in gilding and restoration. 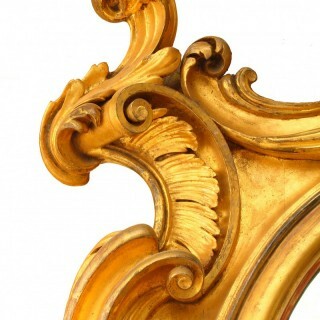 We specialise in mirrors, picture frames and gilded furniture. Based in Leek in Staffordshire, we accept work from all over the UK. We can recommend couriers specialising in antiques, who make regular runs to London and throughout the UK. We carry out work for private clients, antique dealers, interior designers, commercial clients and insurance work for accident, fire and flood damage. Traditional methods and materials are used for all restoration and in making reproductions. For water and oil gilding we use 23.75ct and 23.5ct gold leaf unless other leaf shades are required. We can undertake work including cleaning and minor repairs to full restoration and re-gilding. There are extensive before and after restoration photographs on the website, along with examples of handmade reproduction mirrors.